Eternity aims to recapture the magic, imagination, depth, and nostalgia of classic RPG's that we enjoyed making - and playing. At Obsidian, we have the people responsible for many of those classic games and we want to bring those games back… and that’s why we’re here - we need your help to make it a reality! 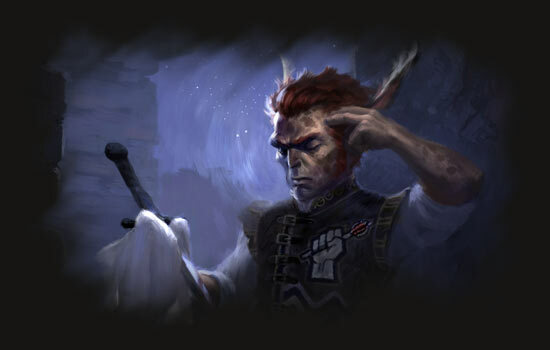 Choose to play as one of the six playable races: Human, Aumaua, Dwarf, Elf, Godlike, and Orlan. Whether you're playing a stout Dwarf, a towering Aumaua, or one of the otherworldly Godlike, Eternity's plethora of playable races scratch every role-playing itch you may have and allow for deep character customization. We give you a range of options, and a range of character slots – it’s up to you what heroes and villains you want to make. 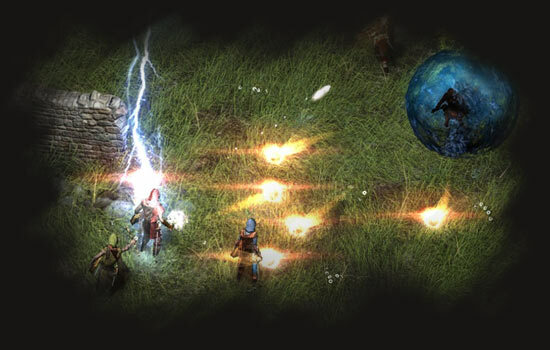 Choose to play as one of the eleven unique classes, some familiar, some indigenous to the world of Eternity: sprint into the fray as a frenzied Barbarian, expand and master the multitude of spells in your Wizard's grimoires, use the Paladin's commands, auras, and flames of devotion to rally your party, or invoke the powerful ancestral memories of lost souls as a Chanter. Eternity's world is filled with living and lost souls. They bring the spark of awareness and memory to mortals, but they also hold a wealth of power for individuals who unlock their hidden potential. Druids can learn the mysteries of nature spirits to shift their bodies into animalistic forms. Rangers forge lifelong soul bonds with their animal companions to heighten their abilities and link them for life. By meditating on intense physical pain, Monks focus spiritual energy they can redirect into the world through their weapons -- or bare hands. 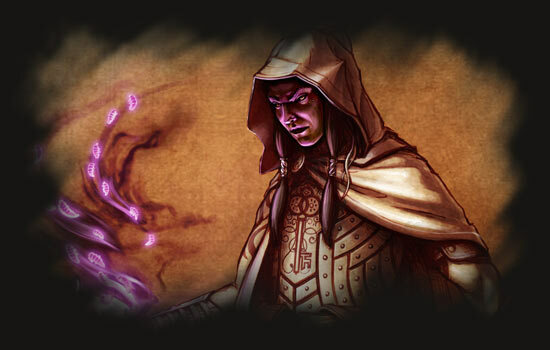 The enigmatic Ciphers link their minds to the souls of allies and enemies to produce an array of devastating effects. Eternity's environments are brimming with life: majestic waterfalls with great sprays of mist, rivers and lakes that raise and lower, weather effects like fog, rain, and lightning, and a day-night cycle to reflect the passage of time. 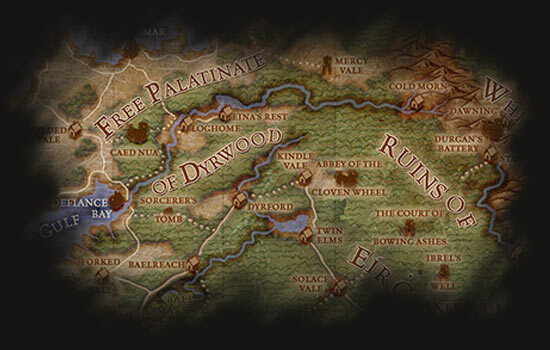 Finding adventure and resolving quests are at the heart of Pillars of Eternity, but exploring the cities, dungeons, and wildernesses of the world is a rewarding adventure on its own. 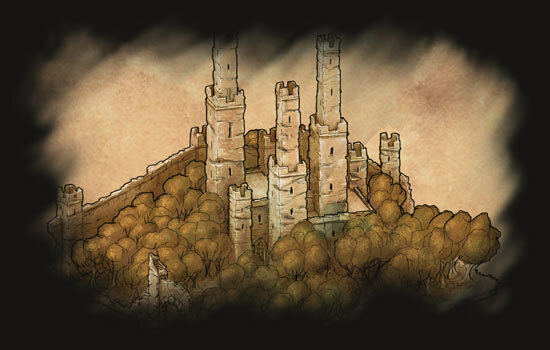 Pillars of Eternity uses a custom rule system heavily inspired by classic and contemporary tabletop fantasy role-playing games. Its design strives to retain the spirit of traditional tabletop mechanics while taking advantage of the real-time processing power of personal computers. Players will recognize many familiar elements -- six attribute scores, many classic races and classes, discrete character levels, a roll-to-hit combat system, personal character inventories -- but the systems use seconds (and fractions of seconds) instead of rounds, a virtual "100-sided die" for more transparent combat mechanics, and the use of easily-understood formulas that would be difficult to calculate in a tabletop environment. The game's options are set up to show as much or as little of this information as players want, with separate difficulty settings for individual preferences players can toggle to their tastes. 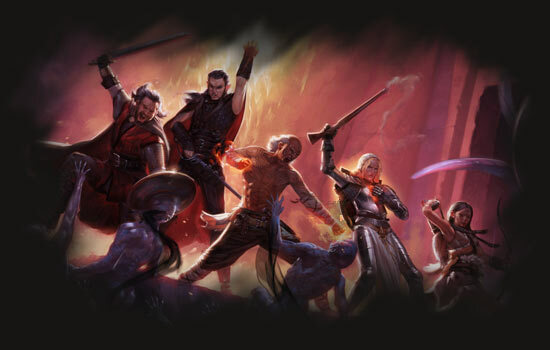 You can learn more about Pillars of Eternity at the official wiki graciously hosted by our friends at Curse.